I will aslo, soon, translate the myths about the food we think is good for us but is really, really bad. "Dummies" feels so wrong, the one who read this is absolutly not a dummie. It is a smartie! 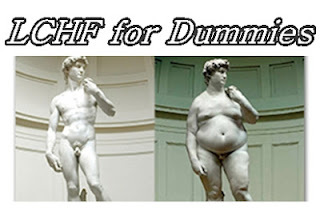 I also heard that LCHF, also are called the Nordic diet, because it started here, in Sweden. 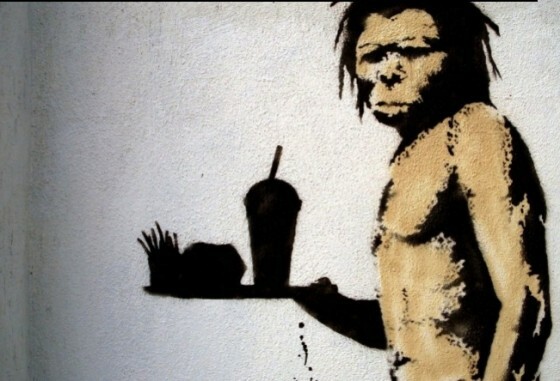 I prefer to call it: The way we are made to eat - real food! What does LCHF really mean? LCHF means Low Carbs High Fat wich in next step means to many people a well planned and careful adjustment of the diet and a minimum of carbohydrates, often under 20 grams per day or less. (Often the goal is to not eat anything above 5 carbs/100 grams and totally 20 grams carbs), at the same time increase of sources of energy; fat and protein. ...wich loves sugar (even though it is made of fat). The brain needs a lot of energy and lives on glucose, wich is the type of sugar that all carbohydrates breaks in to in the stomach. (Yes, even pasta, bread, potatoes and rice becomes sugar in the stomach). The brain loves sugar so much that it stimulates and revards us when we eat sugar, by giving us "happy feelings as in sugar rushes". Theese rushes comes from fast carbohydrates: from fruit, candy, soft drinks, juice, buns, chocolate etc and this function is something we inheareted from the stone age - that time the human, in case they found any energy sources with sugar; as fruit, berries and honey, ate as much as they could, while there was a chance to do it. The body needed to store this compressed energy for periods av starvation. The human has exactly the same functions today as then. We get the sugar rusches but unfortunatly we also know we get a craving for more sugar, very fast. The big problem in modern times is that we find sugar everywhere and always, in the Western World, and slowly in the rest of the world. 2009 did swedes eat 15 kilos of chocolate and candy per person - an increasment of 54%, compared to when the fat epedemy started 1980. During the same period of time the consumtion of softdrinks increased from around 30 liters to 91 liters per year. The industry has also strarted to add sugar in most everything: Your sandwich ham, marinated meat, spices and even the mayonaise! 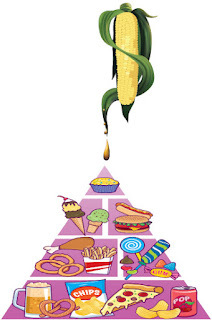 Since the 80s, when the cholesterol was "discovered" the population of the western world has learned to be scared of natural fat and to get enough with energy in the food wich is reduced of fat in "Low fat-food" you have to replace it with something. Protein is expencive and hard to get so starch, carbohydrates and sugar became the replacement of fat. Even salty products are added with sugar "for the sake of the taste", and also it contains more salt in it, to hide the taste of sugar. (In Sweden salty candy is very popular) We eat to much carbohydrates and escpecially fast carbohydrates wich goes very fast out in the blood and causes high level of insulin in the body. Insulin is a hormon wich is produced in the pancreas. Insulin is important to get the excess of glucose, wich the brain don't need from the blood, it will send it to the liver for storage. The insulin and the liver transform the blood sugar to something it can store/save - fat. To take care of the excess when we eat candy or food with high levels of fast carbohydrates, the body have to extract the sugar from the blood system and start to storage it. The pancreas gets signals from the brain to create loads of insulin who draws out the sugar and sends it to the liver. This is called insulin surcharge. Insulin also makes the fat burning prevents because the insulin "owns" it when it is out in the body in big amounts. The hormon of fat burning, clucagon, gets desturbed to react. The insulin is the hormon who storage the fat in the body. Unfortunately does the insulin also draws out other nutritients from the blood at the same time and in combination that the level of sugar is low, we become hungry very fast again when, we eat sugar. The insulin does not just take care of small amounts of glucose. The dilemma for the humans is that even if the brain loves sugar and wants us to eat loads of it, we are not designed to eat that big amount of carbohydrates we eat today. If the pancreas dosen't have the time to work the glukos away, the blood will be filled with sugar and that is very dangerous for the rest of the body. To have to much sugar in the blood during long periods of time, causes "hyperglycaemia", wich is very strenous for the blod vessels. Big vessels risks to be calcificated, wich will increase the risk of heart infarct (MI) and stroke. The small vessals can be to tight and fragile wich can cause secondary diseases in the nerves (as less sensory and impotence), eyes (bad sight) and kidneys (less function). Long periods of high levels of blood sugar is very harmful for your body and can give severe dammages and wich you might not feel it until it is to late. When people hear the words "arteriosclerosis" and "clotted vessels" makes them shout - IT IS THE FATS FAULT!!! But fat dosen't make blood sugar, not protein either. Carbohydrates does. Back to the storage fat in the body. The liver stores all that sugar the brain dosen't need as fat in our fat depots and this fat are there for usage when there is no food to eat. That was natural for the human "only" a copple of thousands of years ago. Sometimes there was food to eat but for long periods of time there where nothing to eat, at all. Normally there was only meat and fish to eat, but no vegetables or fruit to eat most of the year, to eat. What happens when we eat according to LCHF and cuts down on carbohydrates? Well, this is here, most of the missunderstandings seems to occur. Many thinks and claims that we can't survive if we don't eat carbohydrates, wich is completely wrong. Imagine the stone age human died because he didn't have vegetables and fruits in the winter, even if he killed a mammuth? Then we wouldn't have existed today. No, the body is designed to handle lack of carbohydrates. First of all, the body will react negatively during the fase of readjustment. The brain has no longer access to it's favorite energy, glukose and you can feel tiredness, dizzyness, nausea etc. Theese reactions is very common. Personally, I felt this during two days wich is nothing compared to the agony of the beginning of a diet of powder, fasting or calorie based diets...wich is individually. When you are persistent and put up with this hard period the first days and not give in for a sugar rusch again (then you have to start over again), the back up system starts in the body. The glucose has dried out. 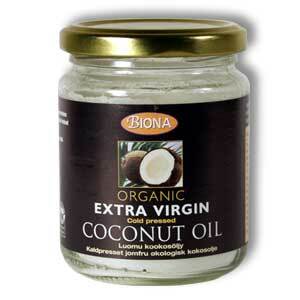 The brain has sent out an order that it needs more energy and it is time to use the stored fat from the fat cells. The liver turns around and revers the fat storing. It takes fat from the depoes and creates keton bodies. The ketones is our own self produced energy for the brain, created in a way as it always was meant to be used: as reservs. You can compare that to the liver who recreate "sugar" from the fat, so the brain gets energy when we can't find carbohydrates to eat. Also the right amount for the brain. When this appears you are in ketosis. The brain gets it's energy and becomes happy. Most people experience that they feel very good. Some even say that they experience euforic feelings when they reach this status. As far as you cut down on carbohydrates, the body will burn fat and give it to the brain. The body is designed to live long periods completley with out carbohydrates. 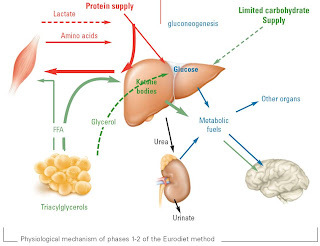 The advantage to feed the brain with ketones is it gets constantly energy and no osciliation in the provision as it can with sugar peaks and other diets where you eat carbohydrates. The big difference and the advantage in relation to a calorie diet, if you eat correct, after that first period of readjustment, is the cravings for sugar stops. If you still have cravings for sugar after one - two weeks, you probably eat to much carbohydrates. Normally the cravings for sugar in any form is gone. The body has a low and stable value of blood sugar and the food don't gives you any roller coaster-feeling on the blood sugar curve. You also experience no real, blistering hunger. When you had your breakfast, wich not always have to be typical "breakfastfood"; it can be left overs from yesterdays dinner, you are full for a very long time, because the food is so full of energy. Generally you eat less meals per day. Other advantages for people with stomach problem (IBS = Irritable Bowel Syndrome, gases, bloated stomach, diarreha etc.) is that LCHF will lead to a remarakble improvement. No irritable gases will be created. Diarrheas is very uncommon after the readjustment period. You don't even have to go to the toilett as you are used to if you eat LCHF. Even your teeth will be better! 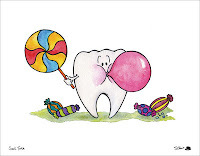 Both caries and plaque reduces a lot in your mouth. Lastly there is sientific proofs that LCHF also lowers the blood pressure and blood glucose. At www.dietdoctor.com and the authority of Swedish nutrion - and health guidelines has approved LCHF as treatment for Diabetes type 2 since 2008 and recommends it since 2011. But don't forget all the people out there who experienced not just weight losses, also food addictions, better health and even completley free from a lot of different diseases. If you google on Low Carb High Fat, you will find a lot! There is no reason to amputate your stomach through surgery or any other way - just make the changes your body are made for. Is there any disadvantages with LCHF? Some side effects are related to the readjustment from fat free diet to a diet with more fat. You can have gallstones in the gallbladder because of the low fat diet and there can be a risc that you get a gallstone seizure when you eat more fat. The gall/bile flushes out in the intestine to split fat. You get a gall stone seizure when a stone comes out from the gall bladder, out in the big bile duct and clogs and makes a stop behind the stone. Another known side effect is diabetics who continues to medicate as before the food change and over medicate. Never start LCHF without talking to your doctor to control theese issues. But we eat less sugar now then in the 50s, according to Swedish institute of public health? Why do I have to eat more fat? Is it not enought to cut the carbs? If you don't want to eat more fat, you don't have to, but then you miss that extra fat burning and if you, for example exercise you will jeopardize to be very tired and weak. You can try to add more protein but it is not easy to get enough, pure protein to balance the body fat burning and if the energy level is to low, the body will be tired, even if the brain is alert. Many who skippes the fat usually stops loosing weight. LCHF-food is very rich of energy and filling. A meal with a lot of protein and fat dosen't run in to the liver as excessed sugare does. 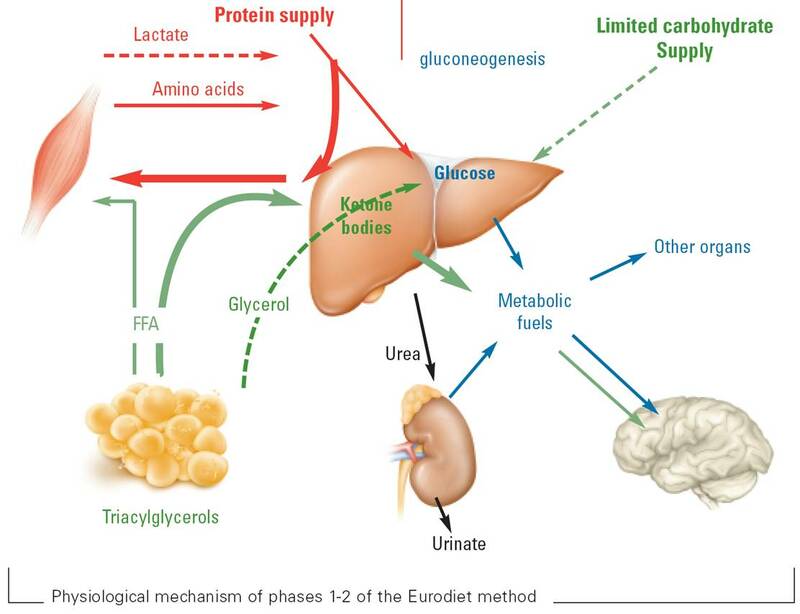 The fat you eat will be used do operate the body while the brain gets it's fuel from the ketones. Combustion in two ways! If you want a higher effect of LCHF - eat more fat! 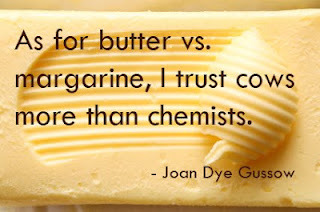 Eat coconut oil and real butter! Use the coconut oil both as body lotion, foot lotion and in your food and even in your coffee! It also helps the skin to tighten when you loose weight. What about blood lipids and cholesterol? 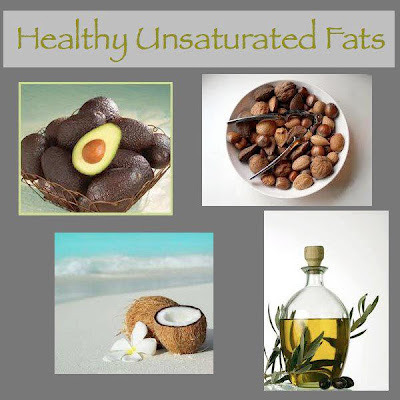 It is a myth that saturated fat encreases the "bad" cholesterol. Off course there is a connection between cholesterol and heart diseases but itdepends on wich type of cholesterol you have in your body. The fear of fat and cholesterol has been warned about the last decades has made us scared for the wrong reasons. People who eats a big amount of fat will not be more sick than those who eat a small amount of saturated fat. There is no scientific proofs between saturated fat and heart diseases. If you eat a lot of butter, cream and eggs, the cholesterol can increase some but most important - it is the "good" cholesterol who do that. You can look at it as the cholesterol who protects you. happy feelings as in sugar rushes..... I love sugar it gives me they woopty woops. Not sure how serious I can take this with all the spelling and grammatical errors. It's which not wich, btw! I think English is her second language after Swedish so I would say that's pretty impressive! Couldn't help but notice the picture of the Hellmann's Mayonnaise. Just so you'll know, Hellmann's has sugar in it. Granted, not much, but as you know sugar in any amount is not allowed on a LCHF diet. Sugar is listed on the Hellmann's label as big as day. Just looked at it the other day. Even the smallest amount of sugar can derail a LCHF diet. Dukes Mayo has no sugar at all listed in their ingredients. In my opinion, they taste very much the same. 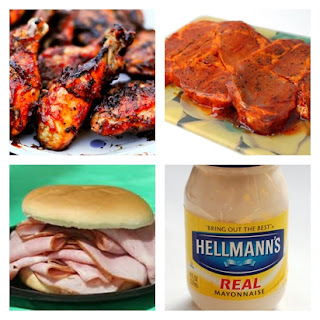 You noticed the Hellman's but not the lurid red marinade, or the white bread bun with processed ham in it? Nowhere was she suggesting any of them as part of the diet, they were merely there to illustrate the accompanying paragraph, which was about sugar being added to many foods.